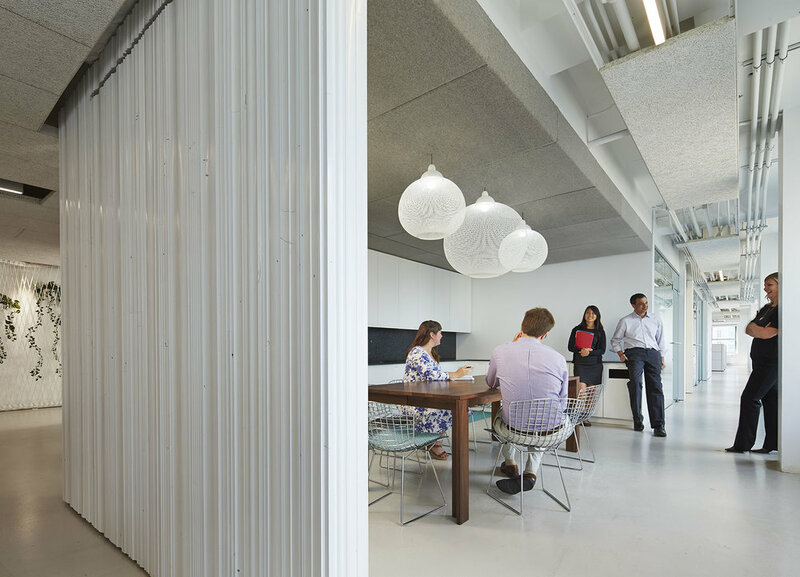 The Natural Resources Defense Council’s offices in Chicago have achieved LEED Platinum and Petal certification from the Living Building Challenge 2.1. 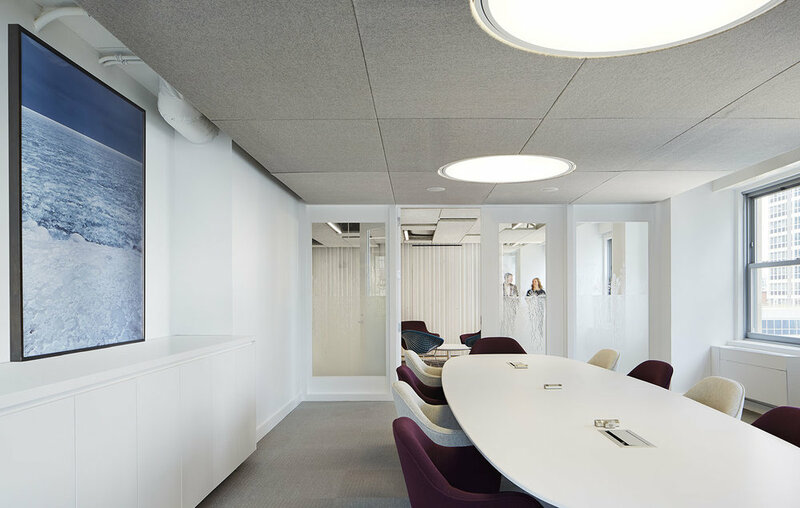 Rapidly renewable felt materials provide absorption in the meeting spaces while reclaimed baseboard and crown molding wood panels provide diffusion. 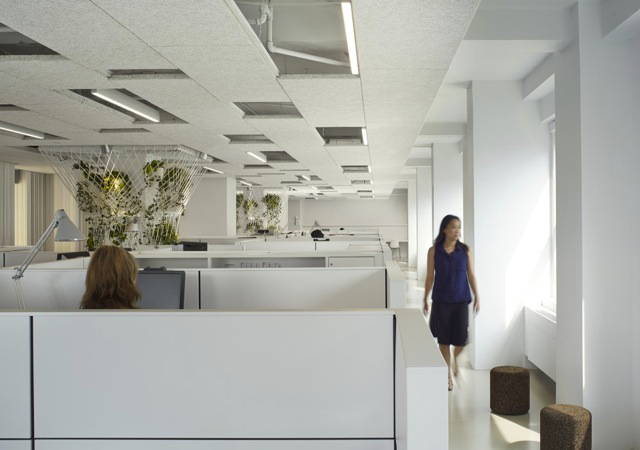 Climbing gardens installed on rope fixtures in the open office areas and moss art installation in phone booths not only help to naturally purify the air and create an aesthetically pleasing work area, but also provide sound absorption.